Widgets for Android are something that would always remain popular no matter what. Now, users tend to search for widgets that help them improve their productivity or simply to make things easier. Instead of launching the app and creating a new task, with widgets, you can create it with just a single tap. So, why not the same for clock widgets for Android? Well, if you want to manage your time, set alarms quickly, make your home screen look beautiful or check international time in a single tap, then you are in need of the best clock widgets for Android. If you just put up a search term – “clock apps,” you will get a lot of applications listed which would probably confuse you. And, you will finally be forced to try most of them to see which one would you like to keep installed. The clock widget app that you choose would differ according to what you prefer. For instance – you prefer more productivity, which leads to a different choice. Now, if you prefer good looking clock widgets for Android, it would result in yet another set of options. So, keeping them in mind, we have compiled a list of the best clock widgets for Android that you should be using! Previously, we have shared a list of best Android calendar widgets. If you are looking for a great clock widget for Android? 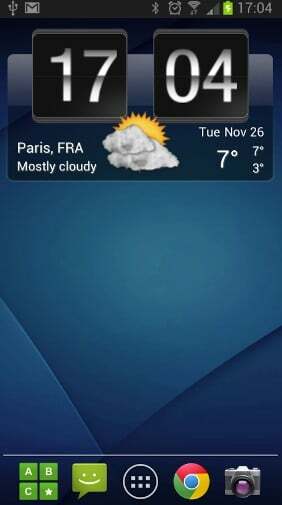 There are many weather and clock widgets for Android available in the Google Play Store. Let’s explore top 8 best clock widgets for Android devices. Weather & Clock Widget for Android developed by Devexpert.net is a cool clock widget app that looks as good as it works. Interestingly, this one could act as one of the best clock widgets for Android and one of the best weather widgets as well. It is not a standalone clock widget app but also offers the integration to display the weather information. By that, you will be able to keep track of everything that you normally need. You can choose from various layouts available to display both the time and the weather information on your home screen. Yes, it may not be as customizable as you want a clock widget for Android to be, but it is both informative and gentle to look at. 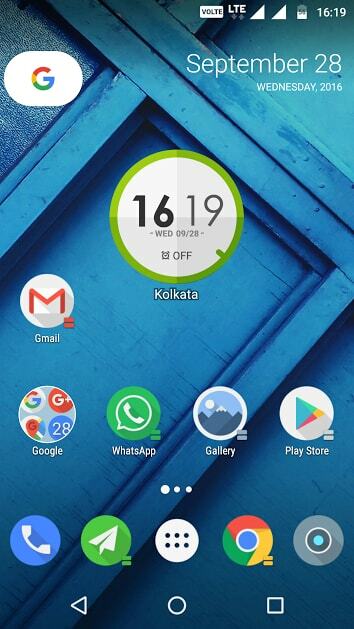 Zooper widget is one of the most loved customizable widget apps for Android. You can have it installed if you want to bring out an impressive clock widget for Android on your home screen. A clock widget isn’t something that lets you know about the time, but also other useful information. According to what you require, you can customize the look of the clock from a wide range of choices. In either case, you get the ability to customize it highly. It proves to be highly efficient when you use it on your home screen because it does not drain your battery as one would expect from a highly customizable yet gorgeous widget app for Android. It offers a pro version to it that costs you 2.99 USD. There’s no reason to upgrade it unless you want to get rid of the in-app advertisements, get the widget on tap action, and the ability to load/save the template. Buzz Widget has been developed by the famous team known for Buzz launcher. It is a custom widget editor that lets you freely bring your imagination to your home screen through weather, clock, battery, and date widget. Note: You do not need “Buzz Launcher” to use Buzz widgets. There’s a reason why we listed it among the best clock widgets for Android. It allows to customize the clock as much a standalone clock widget app would offer. So, you’re getting more than you wanted. It’s not a right thing always but an exciting thing for some users. ASUS Digital Clock & Widget is an immediate alternative to Google’s “Clock” app. It offers the same functionalities as the default clock app provides. However, it provides a far better design with a modern touch of ASUS’s own Zen UI feel on its clock widgets. It provides a total of 6 different styles to choose from while setting up a clock widget on your home screen. That’s pretty much what it is. If you’re going to use it as your primary clock application, you will get a great user experience. Minimalistic Clock Widget delivers a subtle yet a rich user experience. It presents you with 21 preset clock widget styles to put on your home screen. The good news is that it’s an ad-free version and does not require you to spend an extra penny to access the locked feature. You can set the background for the widget, adjust the shadow level, and also configure the shortcut to a particular app to access with a single tap on the widget. Sense Flip Clock & Weather widget allows you to relive the past. This widget for Android presents you with the vintage sense UI clock widget that most of the users loved a couple of years ago. Sense Flip Clock widget is highly customizable with its function and content displayed, but it would look the same whatsoever. It will retain the flip effect of the clock/date which would remind you of the promising HTC devices that were available a couple of years back. 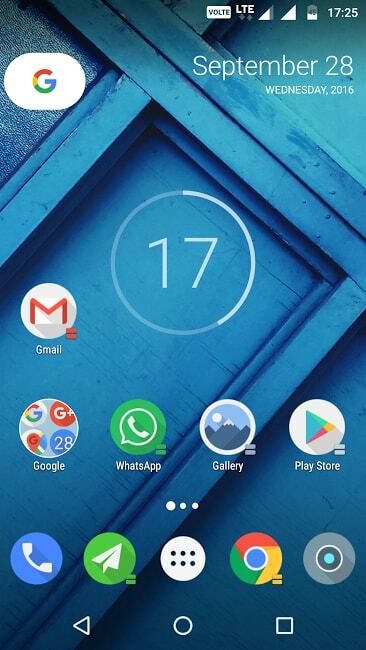 onca Clock Widget is the smallest clock widget app for Android device that you can get. A small 295 KB in size, isn’t something you will hate. Of course, the widget won’t look as impressive as expected. However, if you’re low on resources and want a basic clock widget which looks better than your default clock widget, this one is for you. It also offers a pro version to it. The Pro version would cost you around 2 USD. It is worth it because it unlocks all of the functionalities like displaying marks, controlling font size, display as digits, show seconds, choose a custom time zone, and to show a background circle. So, in a nutshell, you get the ability to customize the widget entirely for a visual overhaul after upgrading it to the pro version. Round Clock widget is one of the most beautiful round clock widgets we have ever seen. You can head on to the widget settings right from the home screen to add them. In either case, you can just launch the app to customize the widget. It lets you customize the round design/color. Besides, you can also change the font style, choose to enable or disable the animation, and also opt to display the second animation or not. There are tons of several clock widget apps available for Android. However, that does not necessarily mean they are all good. So, we picked the best clock widgets for you to try on your Android devices. If you are on the lookout for a basic clock widget app, there’s probably nothing better than Onca. If you’re looking for a free solution with maximum customizability options, Zooper widget should be your choice. In either case, if you just want a better alternative to your default clock app, then ASUS clock application would save you a lot of time. Round clock widget would come as a personal preference depending on what you like and what you don’t. Similarly, Buzz widget, sense clock, minimalist & weather clock app would be great choices depending on your varying needs. Did we miss one of the great clock widgets for Android? Let us know your thoughts in the comments below. Next: How to Create & Use Your Custom Email Domain Name with Gmail/Hotmail/Yahoo ?